I ordered 6 plates - m56, m63 (not shown as it's on back order) m71, m79, s9 and s10; double stamp set; 2 plastic scrapers; special princess polish in black pearl and special top coat in clear. 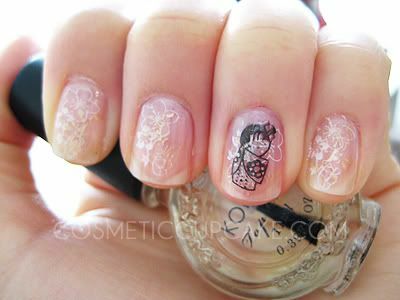 I attempted to do a Kimmi doll NOTD using s09 which I was most excited to get, however I found the flower designs really hard to work with so it didn't really turn out the way I wanted it to. I used Seche Base ridge filling base coat as my base coat and CG Innocence as base colour. For konading I used CG Passion, Konad Special Polish in white and Princess polish in black pearl for accent finger and Special Polish Top coat in clear for top coat. 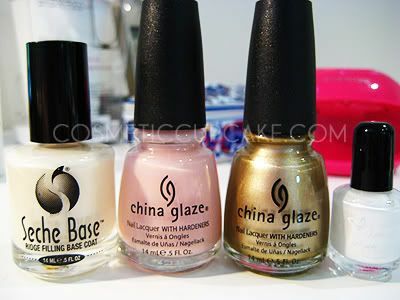 From L-R: Seche Base ridge filling base coat, CG Innocence, CG Passion and Konad Special Polish in white. 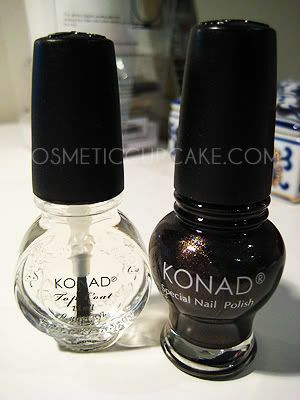 Konad Special Polish Top coat in clear and Princess Polish in black pearl. I gave in and purchased the top coat and I must say I can notice a difference especially used with the black polish. I had no patience doing my mani so I just put the top coat on straight away after konading and the smearing was hardly noticeable. The Princess Polish is really pretty in the bottle with little reflective gold bits in it and I love the shape of the bottle. It doesn't come up as dark black as the Special Polish when stamped btw. Image plate s9, double side stamper and plastic scraper. As I said above I found the flower designs on this plate really hard to work with. 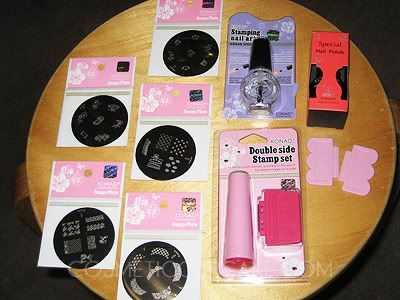 The stamper just would not pick up the designs for me! Has anyone else had this problem? I originally tried my non-konad polishes with the plate which didn't work very well and even with Konad polishes it didn't pick up the whole design. Methinks partly because the flower designs are just so thin..? The japanese doll came up really well though! So at least the plate isn't a total waste. The double side stamper is well worth investing in as the green side is a huge help for placing the small designs for a newbie like me! The plastic scraper is good in that it doesn't scratch your plates but there's no need to go out of your way to buy it. 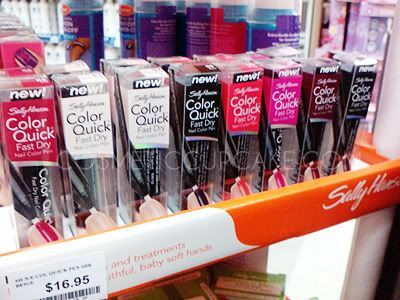 @Asami: Oh no I don't plan on getting any of the nail art pens! I read your review on them when you did it and they didn't look very good. I'm just a sucker for shiny new things that's all! 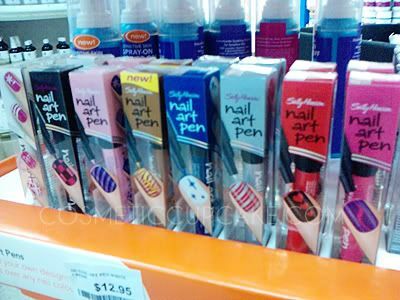 I was thinking of trying the hard as nails Xtreme polishes actually in the cool round bottles. I have that same S09 Konad plate, and I was originally having those same issues. 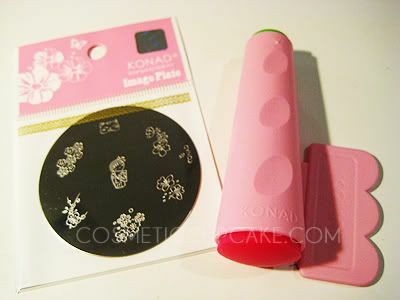 I found that fiing the stamp with a nail file will pick the images right up perfectly! Give it a shot.